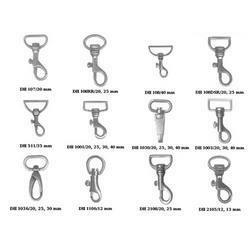 Our wide range of Dog Hooks are manufactured using high quality raw materials like steel, copper, iron and others. Available in varied shapes, sizes, our range is corrosion resistant. 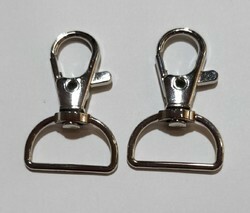 Further, our dog hooks are widely used in shoes, sandals and bags. We are involved in offering high quality Dog Hook. These are made in accordance with latest fashion and changing trends. These are widely appreciated by our clients which are situated all round the nation. Price Range: Rs.1 - Rs.50, Price may vary depending upon the size and design. As our existing quality we leads in the market of Lanyard with Plastic Dog Hook. We also manufacture high quality Zinc die-casted accessories for soft baggage, Leather goods & luggage. Beside these items we also customize most of the above items as per our customer needs.